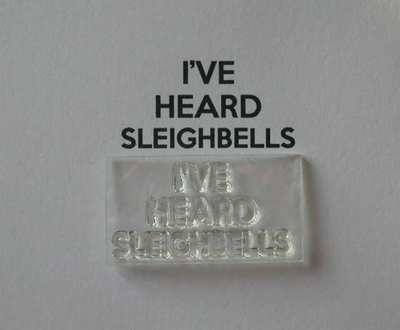 'I've Heard Sleighbells' stamp, 3.8cm x 1.8cm. Stamp it below the 'Keep Calm' stamp for fun Christmas cards. Also available as part of the Keep Calm Christmas set.